Front Row is recalling its 10oz pint and 10lb bulk grape tomatoes. 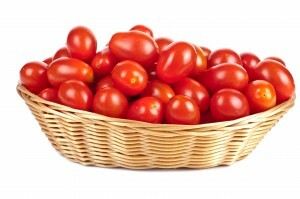 The tomatoes, supplied by Rio Queen Citrus of of Texas have been recalled because they have the potential to be contaminated with Salmonella, an organism which can cause serious and sometimes fatal infections in young children, frail or elderly people, and others with weakened immune systems. The recalled grape tomatoes were distributed throughout Missouri and Illinois to foodservice distributors and retail stores. The product for retail sale is packaged in a 10-ounce, clear plastic package marked with a Front Row Produce “Grape Tomatoes” label on the top of the package. Currently, the lot number does not appear on the clear plastic package but it does appear on the case label. The lot numbers on the cases containing the 10-oz. packages are 2310802, 2310405, or 2510401. The 10lb bulk grape tomatoes are packaged for wholesale in a plain brown cardboard box labeled only with lot # 2310801. As of 12/1/2011, all shipments of Front Row Produce Grape Tomatoes packaged in clear 10-oz. plastic packages sold in retail stores will now have a green lot number sticker placed on the bottom side of each package. The lot number will consist of a 7-digit number used to aid in identifying specific shipments of product. Any packages that do not contain this green sticker should be considered suspect and under recall. No illnesses have been reported, but production of the product has been suspended while the FDA and Front Row continue their investigation as to the source of the problem.